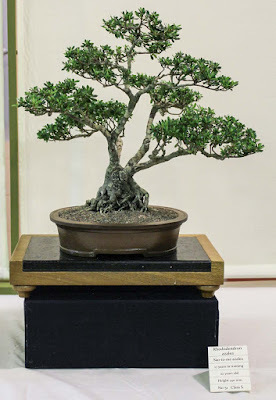 The RBS Annual Exhibition of the ancient art of bonsai was held at the Donald Simpson Center in Cleveland on October 11, showcasing the work of members and offering an opportunity to trade and buy bonsai materials from tubestock through to mature bonsai as well as pots and other accessories. 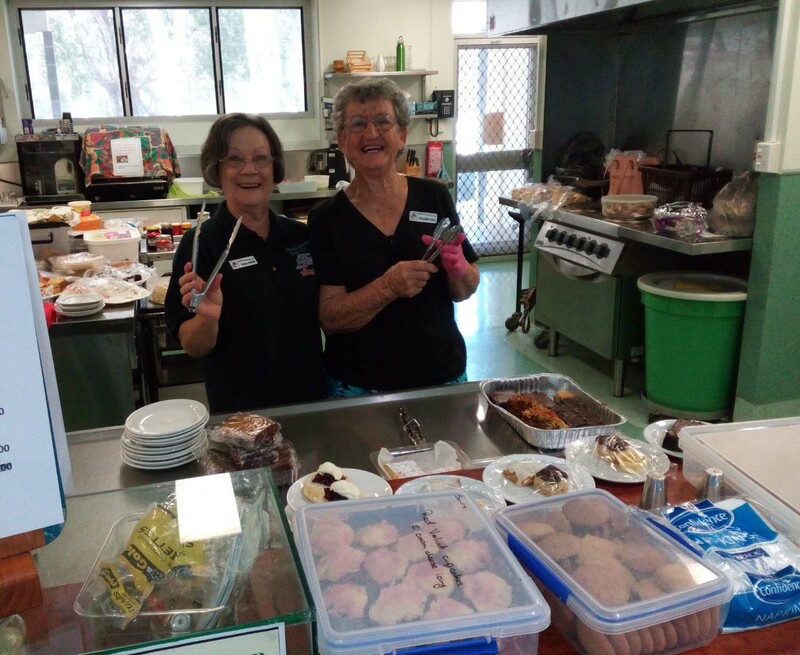 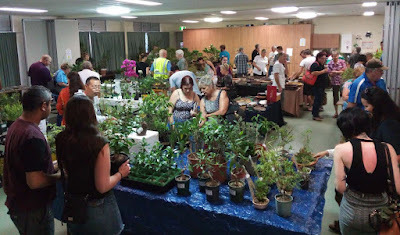 The show is always well patronized and its reputation among enthusiasts in South East Queensland draws visitors from far and wide. Attendance at our one day event this year was a record 460 guests. 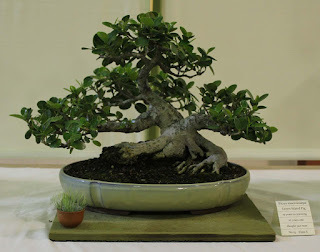 The previous post showed some of the establishment. 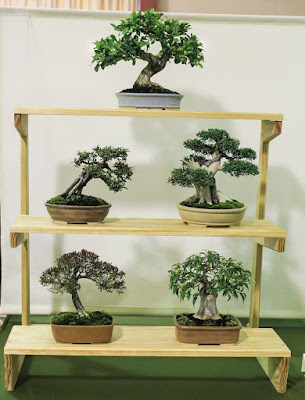 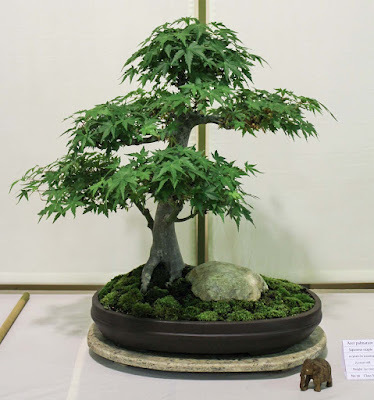 In this post we have pictures from the opening and of a good selection, but not all, of the trees on show. Click on the pictures to see a gallery of enlarged images. The massive sales area in full flight. Visitors to the main display auditorium. Kitchen at the ready and look at all that great food. 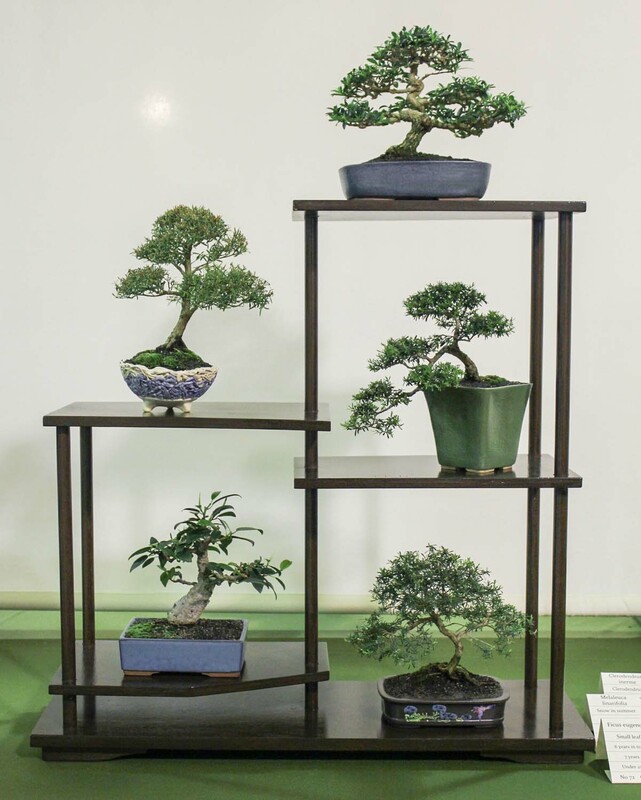 And now a sample of the trees in the exhibition. 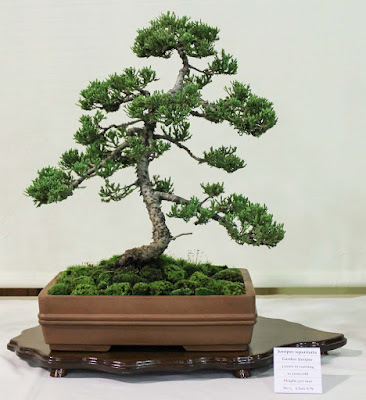 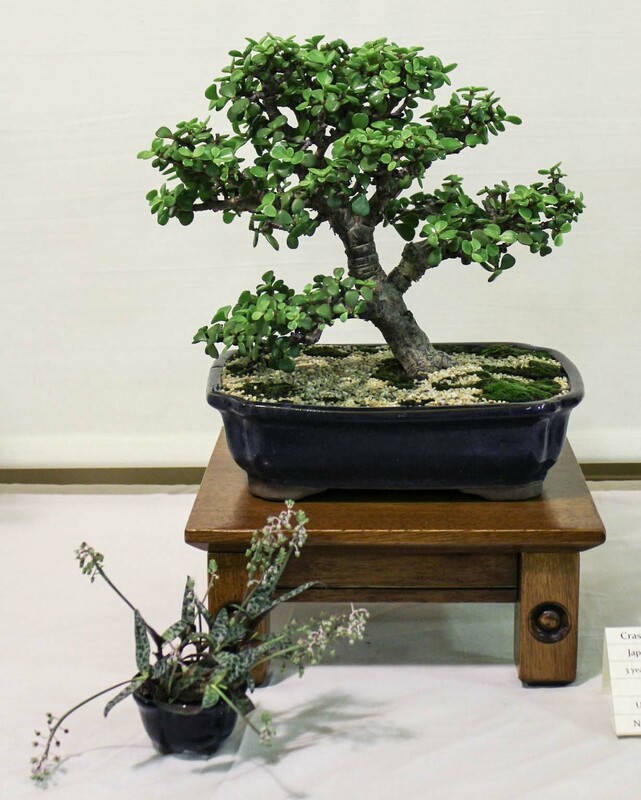 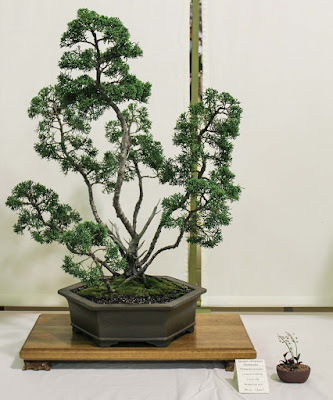 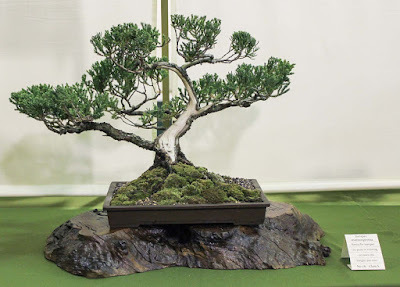 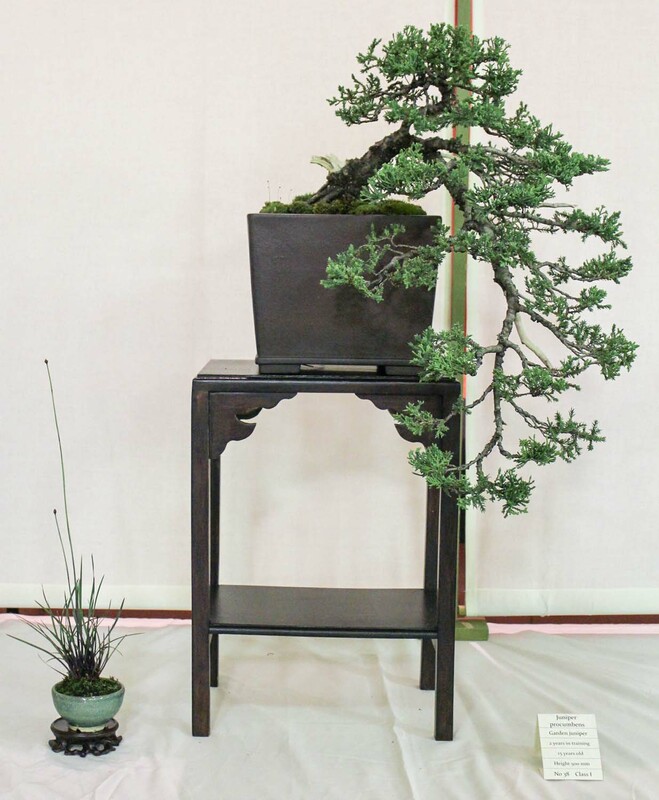 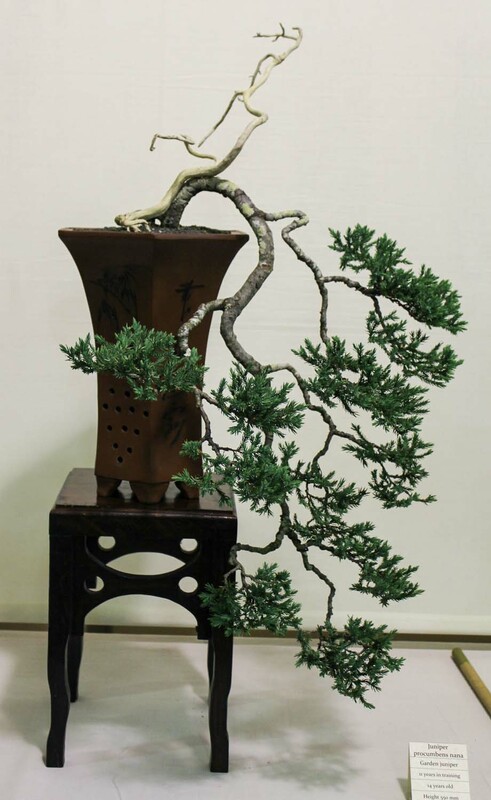 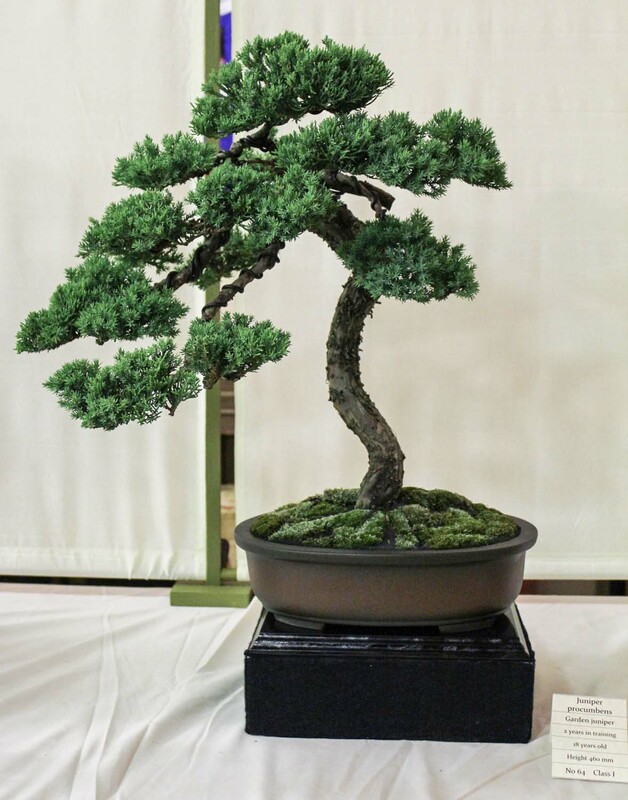 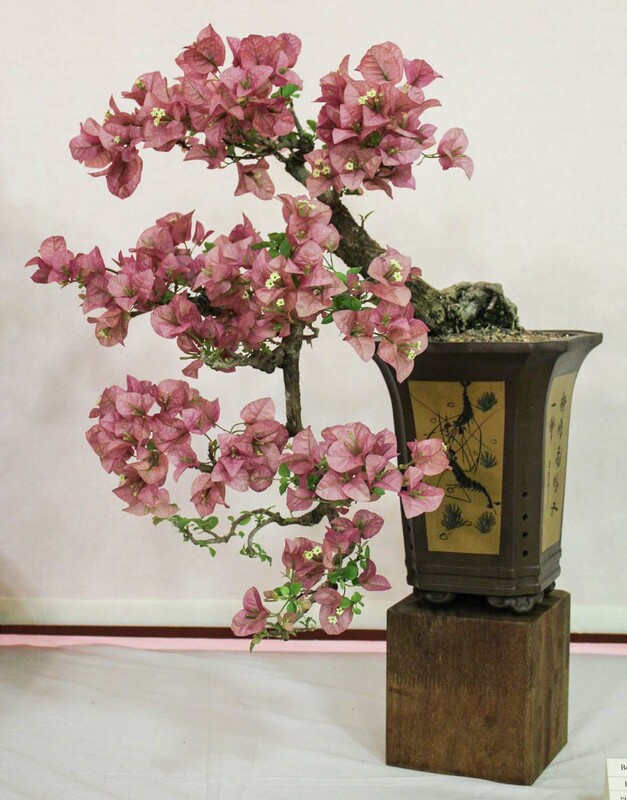 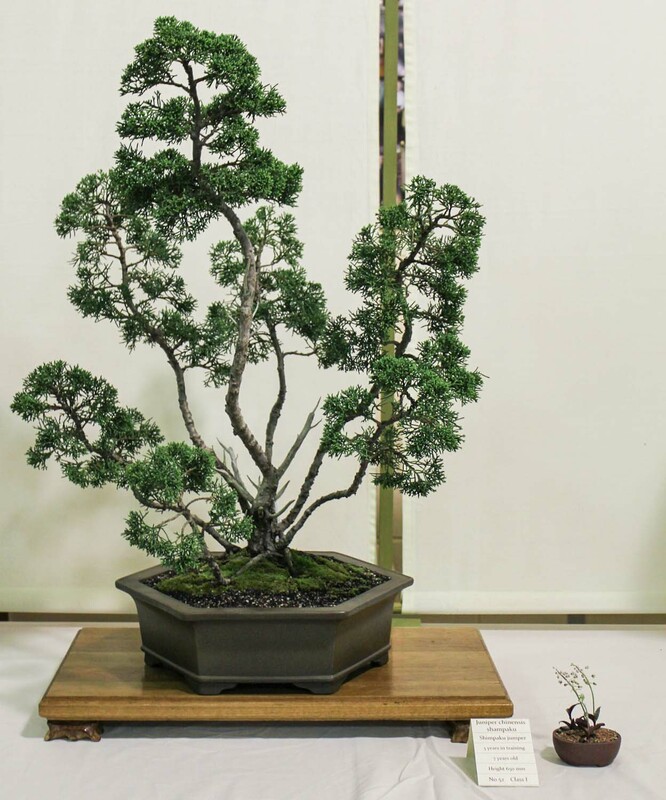 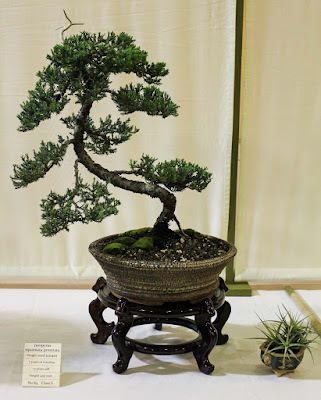 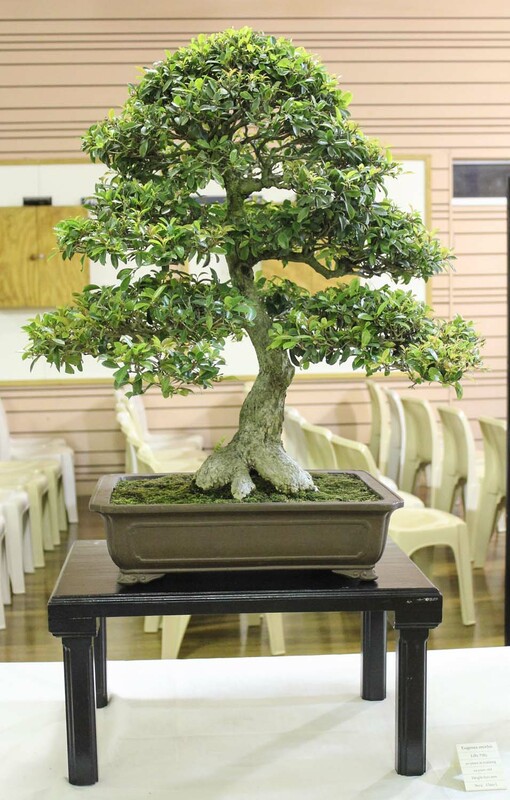 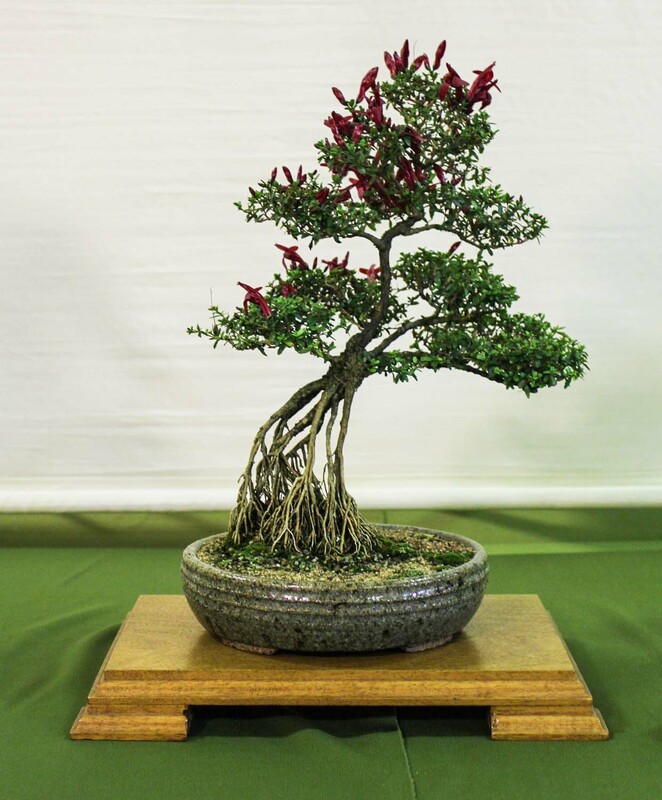 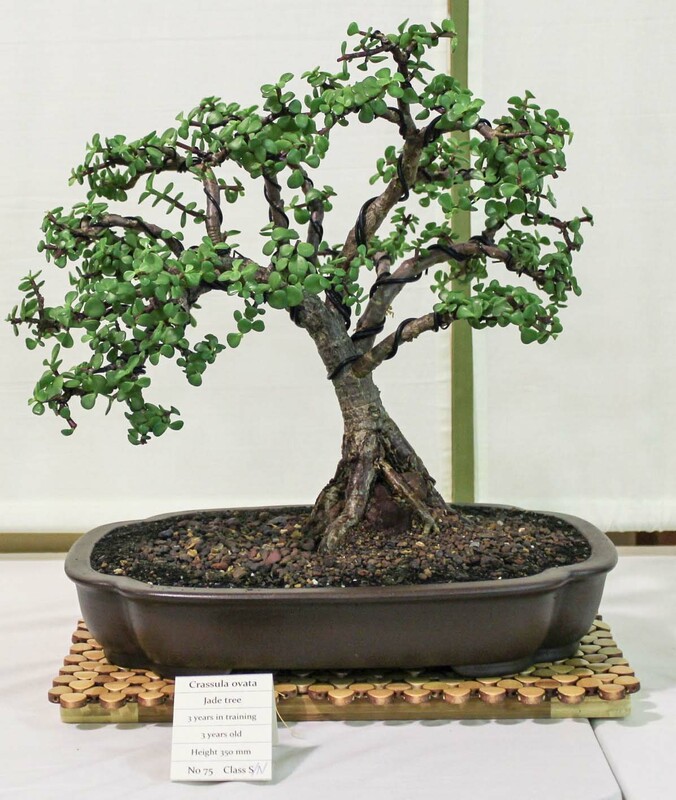 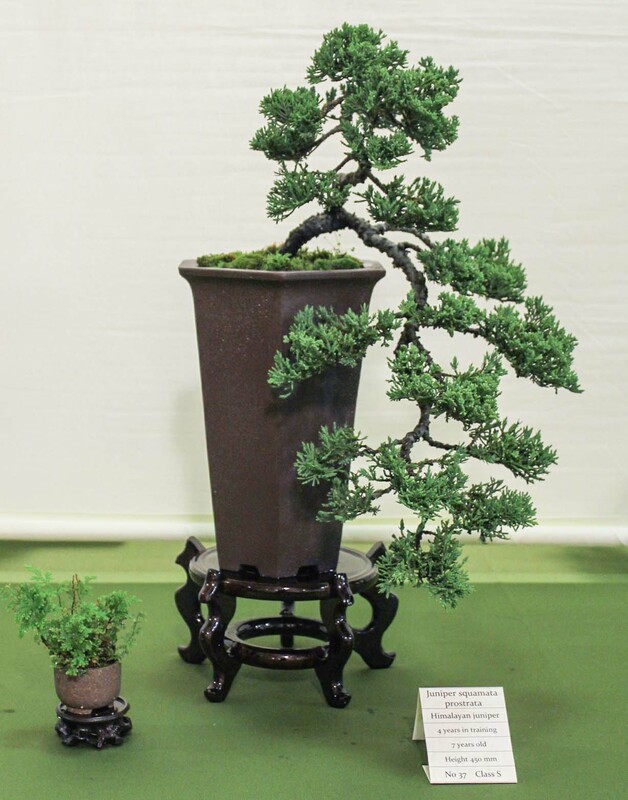 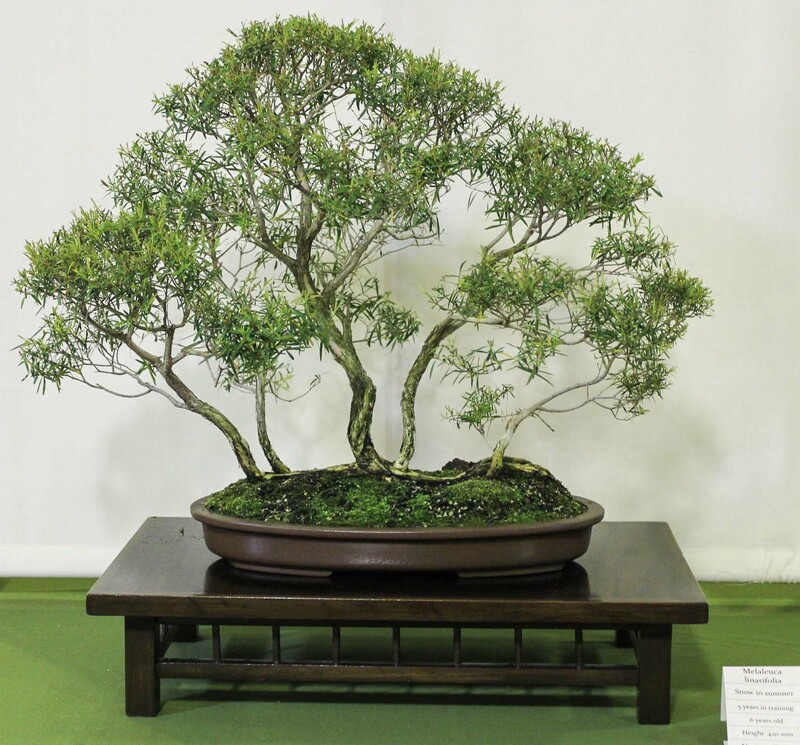 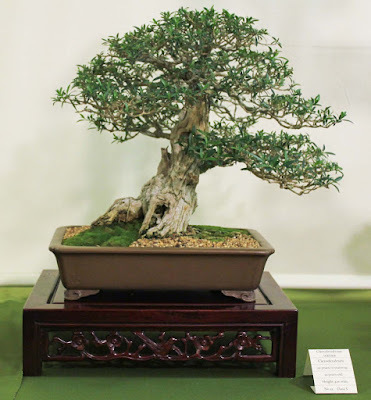 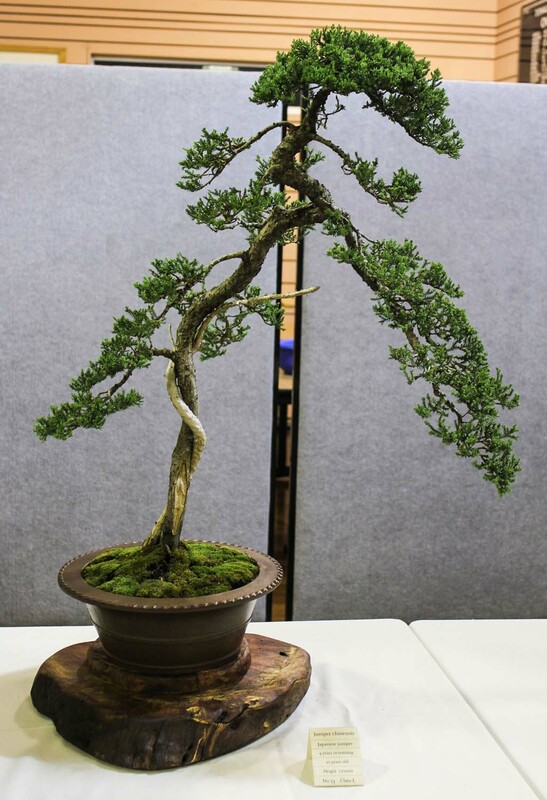 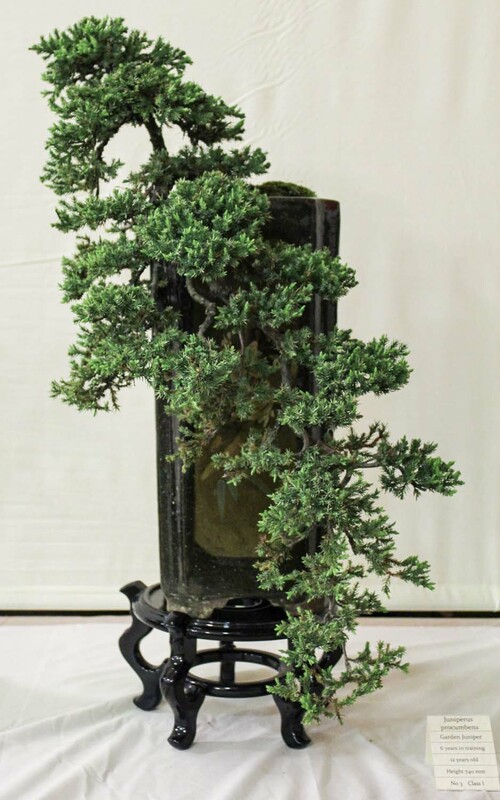 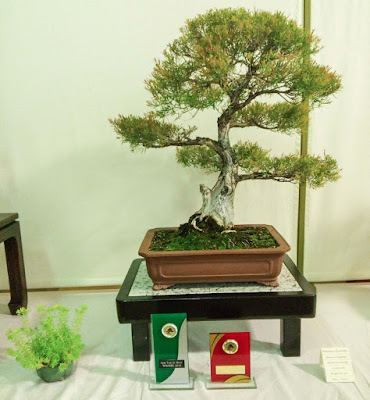 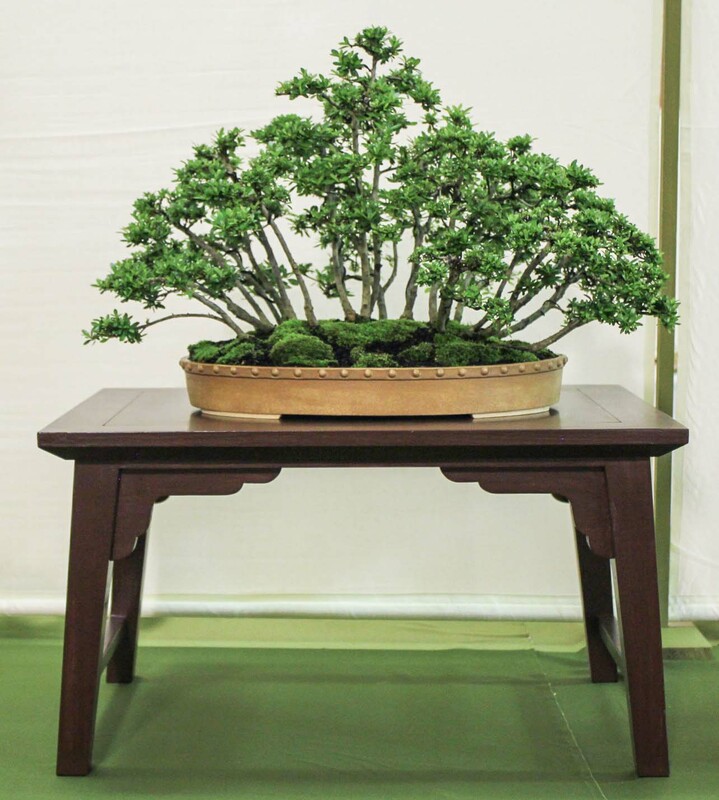 First up has to be the Best Tree in Show which was also the winner in the Intermediate 450 to 650mm size, a Melaleuca linarifolia. 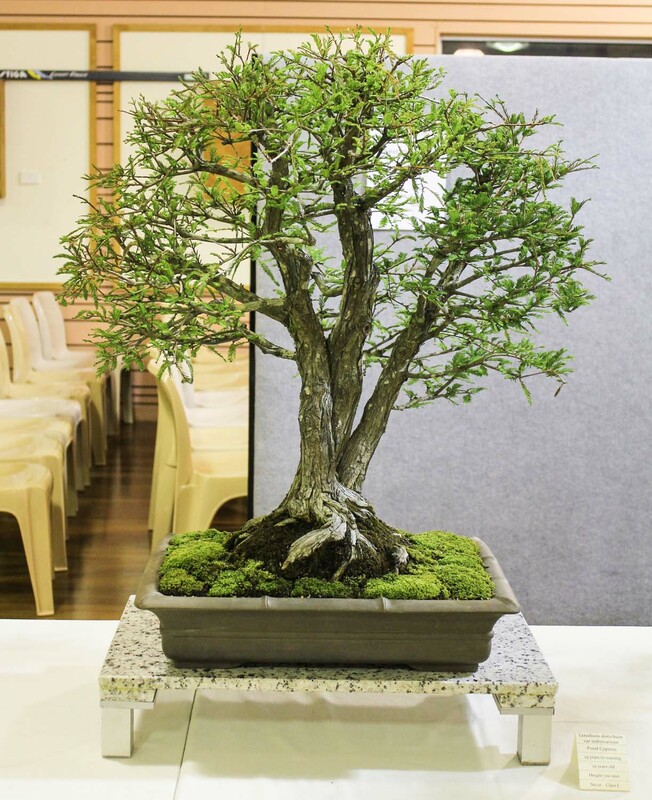 Great to see a local Australian native take the gong. 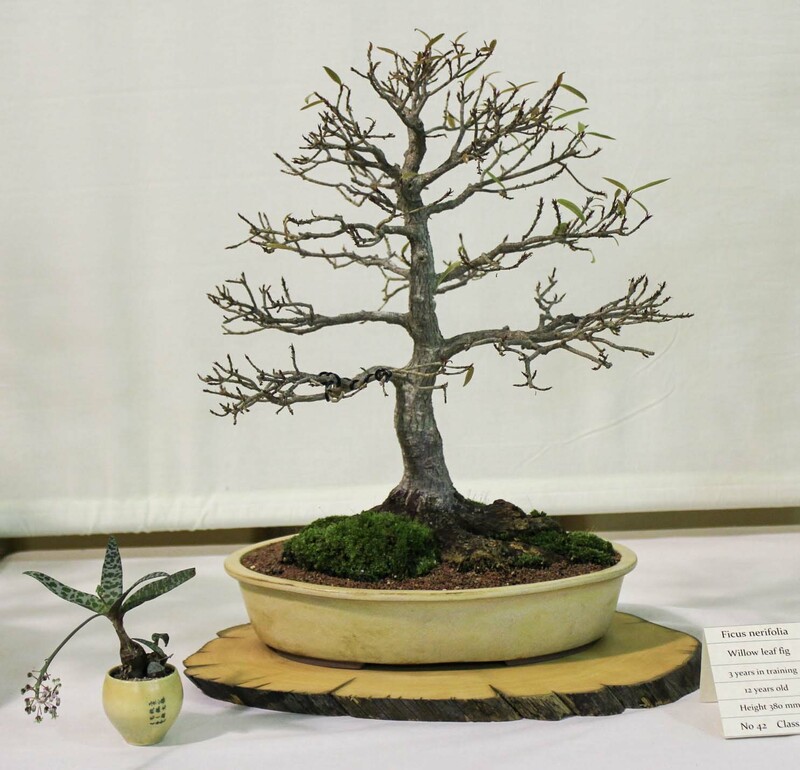 Next is the winner in the large category (over 650mm), a fine Lilly Pilly. 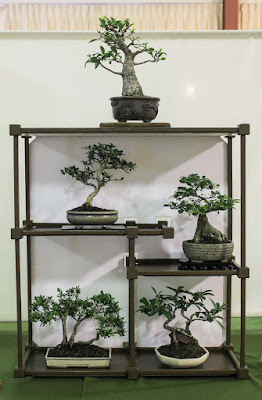 So one and two for Australian trees. 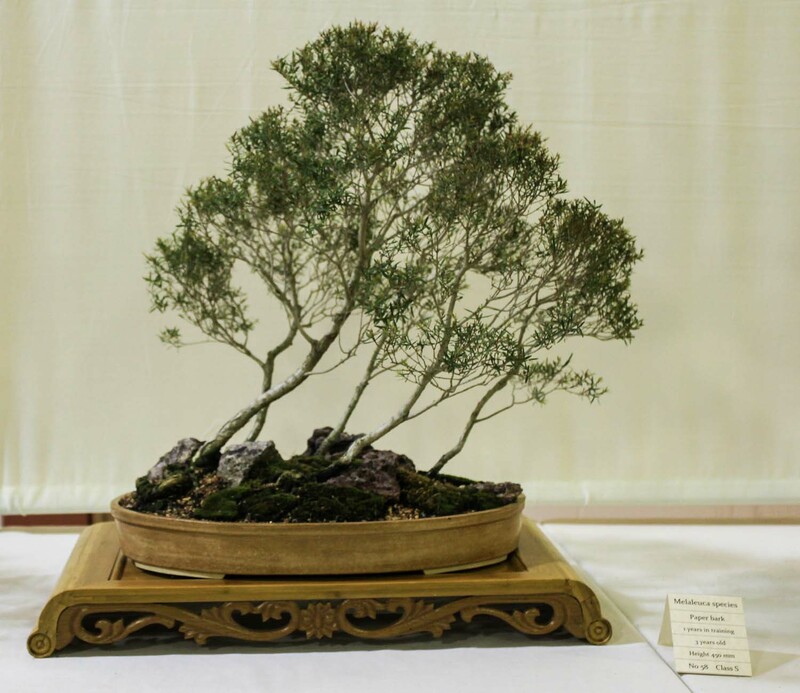 This Blauuw Juniper was the winner in the Small tree 250 to 450mm category. And in the Miniature category the winner was this Melaleuca Irbyana, clearly in windswept style, and looking like it could slide off that table at any moment. 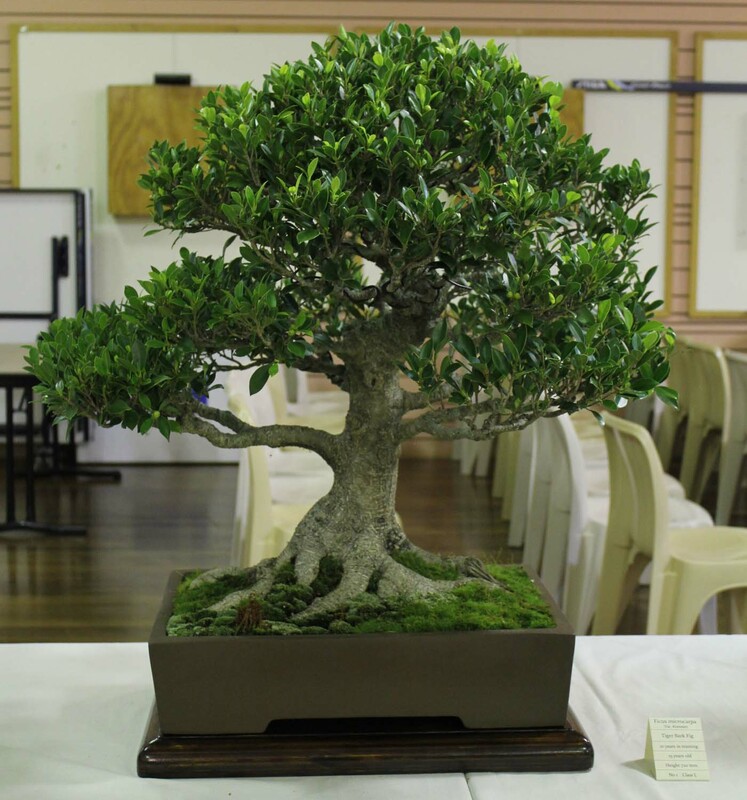 That makes 3 out of the 4 winners to Open categories awarded to Australian Natives. Is this a trend? 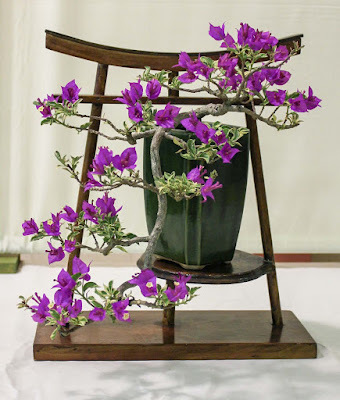 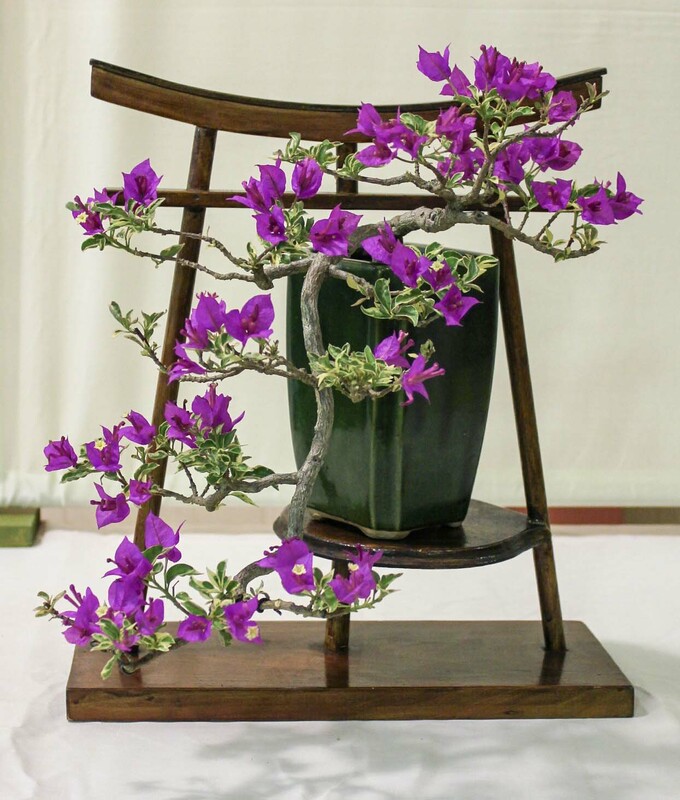 The People's Choice went to this Graptophyllum excelsium or Native Fuschia. 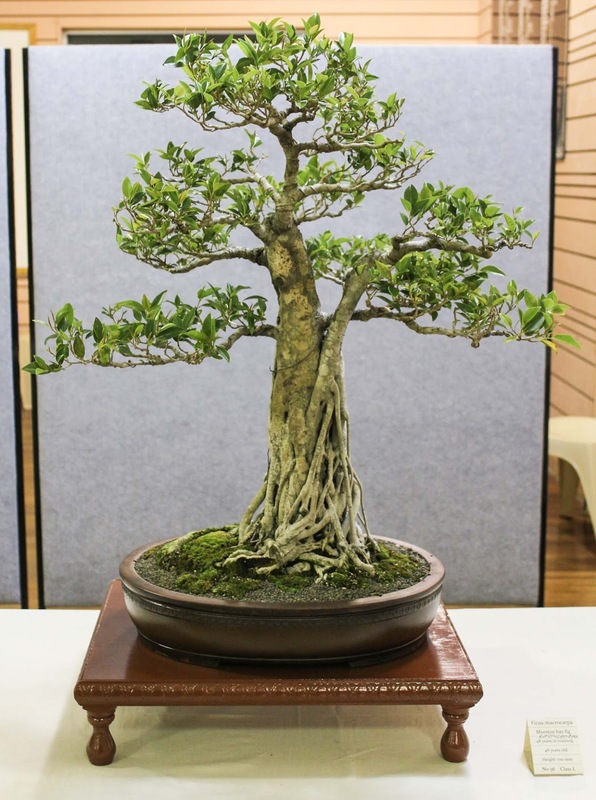 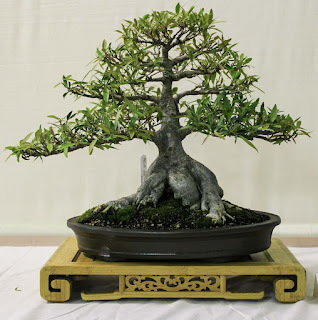 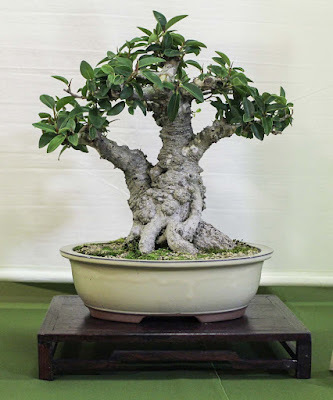 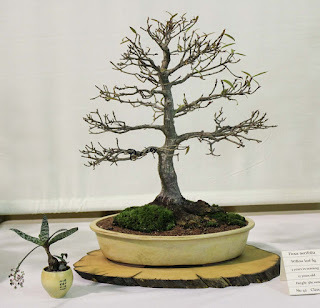 The winning Novice tree was this Ficus nerifolia. 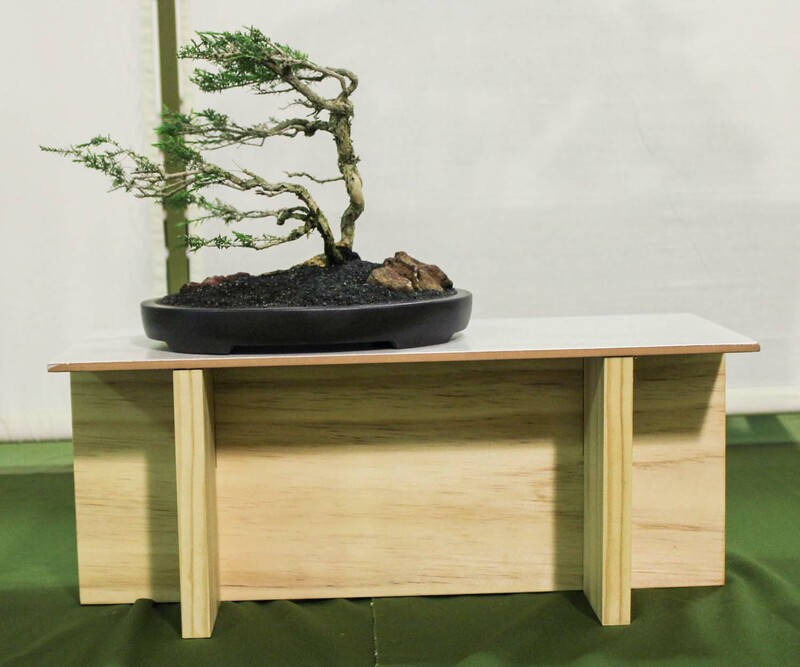 Great work and it looks like it was time anyway for its owner to move into the open class. 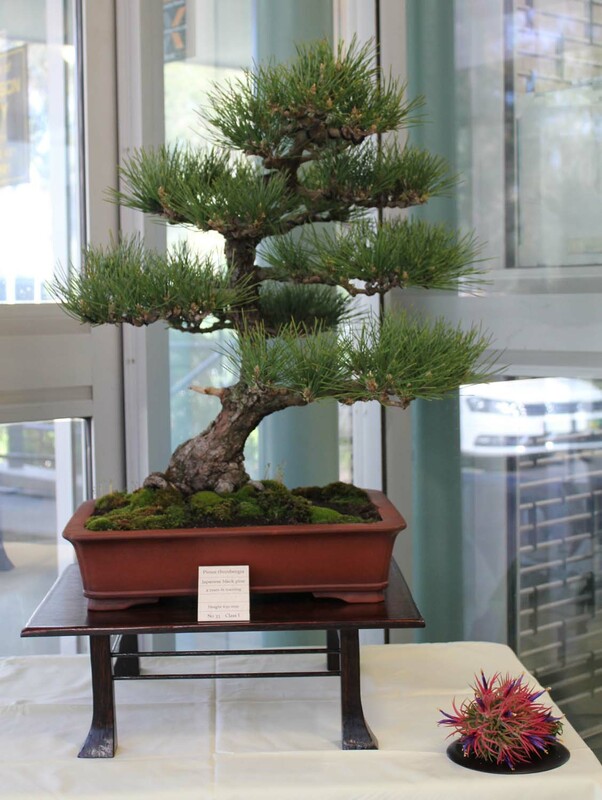 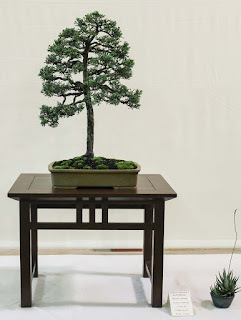 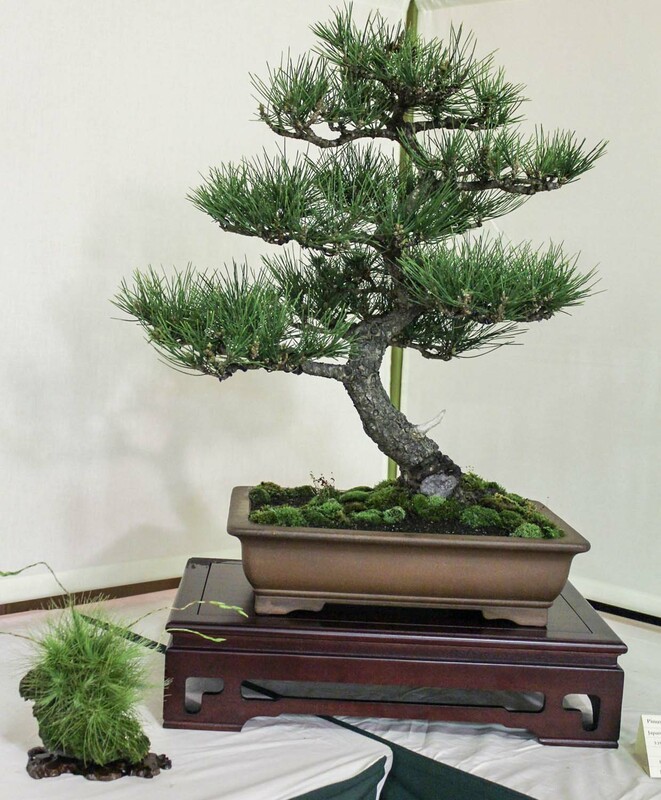 This very fine Black Pine was given pride of place in the entrance foyer. In case you are wondering it is a Swamp Cypress, a big triple trunker, very impressive up close. We ran two demos on the day of the show. 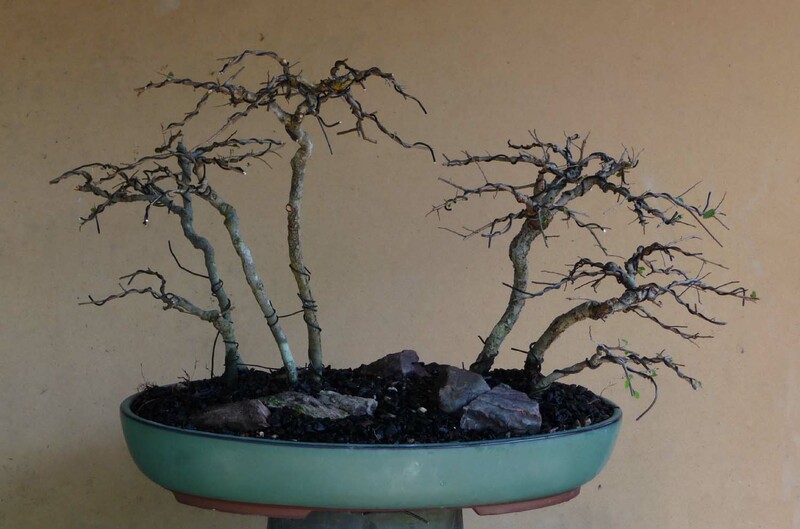 Averil worked on a mature Clerodendrum and for the other a club member transformed a neglected Chinese Elm group into a spooky old forest. 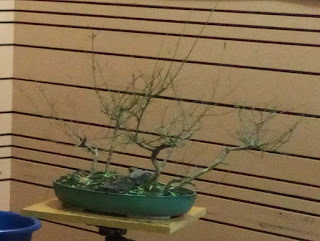 This wasn't exactly the start but we caught this one after the leaves were stripped. 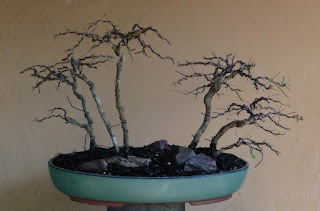 And then after wiring, styling and re-positioning, the finished result - for now. 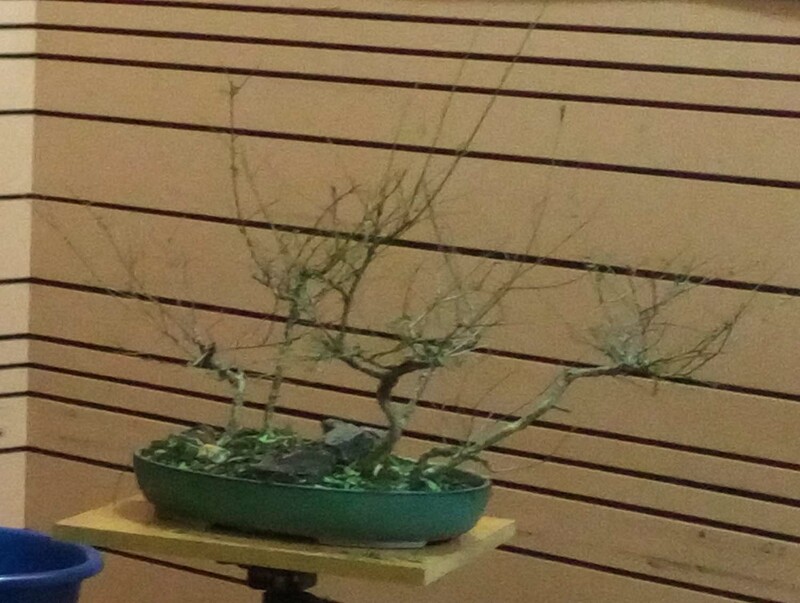 Two hours well spent. That's the wrap for this year.